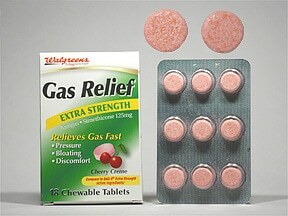 What conditions does Gas Relief Tablet, Chewable treat? 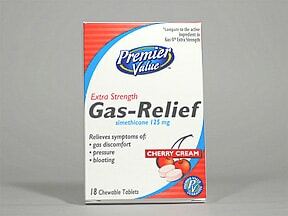 What should I know regarding pregnancy, nursing and administering Gas Relief Tablet, Chewable to children or the elderly? 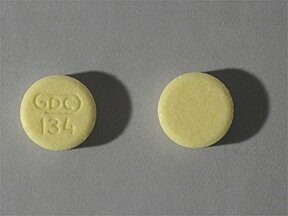 This medicine is a yellow, round, mint, chewable tablet imprinted with "GDC 134". 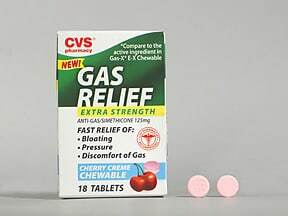 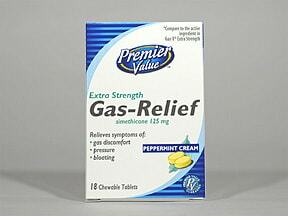 Have you ever purchased Gas Relief Tablet, Chewable?